Showit allows you to embed HTML code into your design using our Embed Code widget. Add the Custom Code widget from the object menu at the bottom of Showit. Paste your code into the Custom Code box under the Embed Info panel. 3. 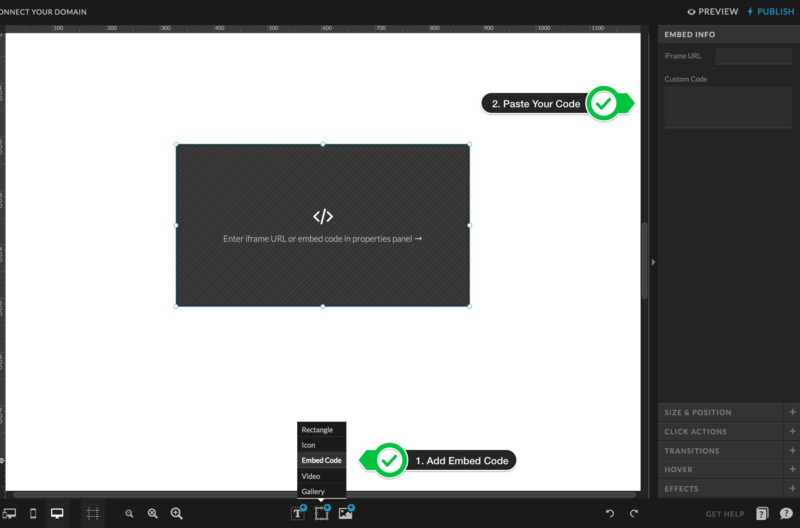 Adjust the size of the embed code widget to fit the object you are embedding on both the desktop and mobile layouts. *Showit renders the code exactly as it is provided, we do not offer controls to customize the embed code. Not all embed code will scale in size. You can embed a full page by pasting the URL into the iFrame URL field under the Embed Info panel.